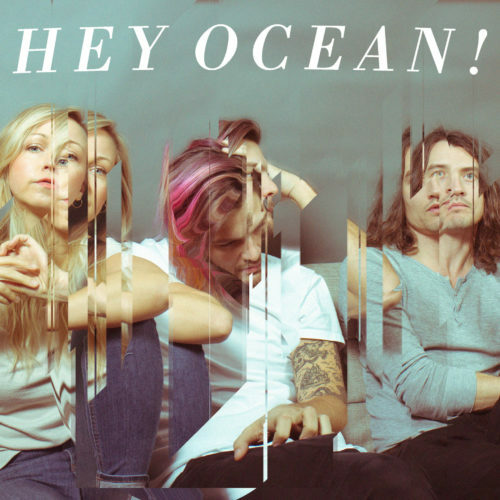 Hey Ocean is to many the quintessential West Coast band. With three Vancouverites at its core (Ashleigh Ball, David Beckingham, & David Vertesi) it’s true that their roots, their name, and many of their lyrics hark back to the pacific shores they call home. However, over the last 6 years they have earned a reputation as much more than just ambassadors of the Pacific Northwest. Truly independent for over half a decade, Hey Ocean is also a representative of the new generation of DIY artists. They have been hands on every step of the way. Their captivating and energetic live show has not only earned them the loyalty of an ever-expanding fan base, but also the reputation for being one of Canada’s best young bands. In the spirit of classic Pop songwriters such as Paul Simon or Fleetwood Mac they are refreshingly musical with compelling lyrics, beautiful harmonies and superb musicianship at the front and center. Meanwhile, their passion for the music they make is unmistakable and it breeds positivity even when singing the saddest of their songs. Opening for Hey Ocean! is special guest and local Campbell River artist, Elli Hart of Dirty Mountain. Tickets are $32 for Tidemark members and $37 for non-members.